Learn the principles, techniques and strategies that have been used by some of the most successful traders of all time. Automate and run your trading strategies on multiple charts & assets while you spend time with your friends and your family - without sleepless nights, without revenge trades and without the emotional rollercoaster you might know so well. Are You Looking To Break Into The Hedge Fund Industry? Are you interested in learning profitable techniques used by real professional traders? Are you tired of missing big winning trades because you were sleeping or at work? Are you looking to diversify your investment portfolio by trading multiples assets and time frames with the help of a trading algorithm? Are you a trader looking to increase your returns? Congratulations, that is SIMPLY amazing! But do you know what to do next? How To Quickly Identify A Markets Momentum With Smaller Time Frame Analysis? Which time frames do you use? Which indicators do you use? Do i have the capacity to follow multiple time frames and assets at once? What markets correlate with my trades? How To Program Technical Indicators, And Machine Learning Algorithms? Where do i start? How do i 'code'? Which programming language do i use? How do i process all of this data? How am i supposed to code an algorithm that teaches itself? How do i code my logic and theories into an algorithm? Where will i find the time to learn all of this? How To Design, Test And Code Long Term Profitable Robots? How do i come up with a profitable startegy? How do i optimise my strategy to find the best possible entry/exit parameters? How do i know exactly when to execute a trade, when to pass on a trade, and when to add more to a trade? Should i incorporate sentiment analysis as a factor in my strategy? Or perhaps you’re a more seasoned investor and find yourself… Struggling To Increase Your Returns With Traditional Diversification. You thought investing in different sectors would spread your risk and beat the market. So how come you’re barely getting average returns despite working yourself to exhaustion. Something feels broken. Burning Out And Losing Touch. You’re spread too thin with so many markets to keep up with. You barely have time to do the things you love and your trading doesn't get the attention it needs. This is frustrating and affecting your quality of life. In Doubt And Stressed. Worst of all you are beginning to doubt yourself and starting to believe this isn't the right path for you or maybe you don't have what it takes. What used to feel like your life's calling is now a source of stress and uncertainty. You feel Tired, Helpless and Directionless. Don't Be Scared, You’re Not Alone. There are many traders just like you who face the exact same struggles. And it has nothing to do with ‘not being smart enough’ or ‘not having what it takes’. It’s simply because there is no information out there to guide you through the process of learning algorithmic trading, and if there is, its ridiculously expensive to learn. Without proper guidance, many traders mistakenly fall into the trap of “expensive training/research from so called 'experts'. In a world obsessed with investment returns, traders are not taught how to automate and optimize their trading strategies. “I have a good knowledge of the market, i have a strategy that works, i know how to research the financial markets, iv'e been trading for some time now…. So why am i still struggling to get by? Why am i so overworked? When is the big profits going to come in? Where's the freedom and satisfaction i thought i'd receive with trading?" Trading is a timing, risk management and efficiency business. You don't need to spend all day in front of a screen. You don't need to have the most advanced strategy. You don't need to have cutting edge research. You don't need to come from a hedge fund or investment bank. You don't even need to be that intelligent. What you need is an important mind shift. Algorithmic trading is a personalised and efficient method of trading and investing, which you should not be using if you like spending all day/night executing trades and letting your emotions control your trades. Thats why algorithmic trading doesn't thrive off conventional thinking, traditional trading strategies and the overall emotions of the trader. And thats also why you might not be achieving high returning investments and the regular income & freedom that you desire. Which is why now, the most important mind shift you need to make is going from “traditional market trading” to “efficient and logical based market trading”. DOES NOT depend on your emotions to control the entry and exits of trades. DOES NOT depend on investing time and money into expensive research and ‘experts’ help. DOES NOT depend on you having to watch the markets 24/7. Thrives off your unique insights and ideas. Lets you spend more time on strategy development and working in your genius zone. Can be fully customised to fit your working style, lifestyle and goals. So how do you design this kind of trading strategy for yourself? Well, you need to have the right blueprint. Can you bake a cake without a recipe or with just one ingredient? Of course not! You can't bake a cake with only flour. Or only eggs. Or only sugar. You need a blueprint to tell you what ingredients you need. Designing an algorithmic trading strategy is much like this. Just as a cake is made from a recipe, a successful trading strategy is made from a logical blueprint. You simply cant create a long term profitable trading strategy with just one ingredient and no blueprint, yet this is exactly what ‘traditional’ trading strategies do. It doesn't make sense right? So you can see, the key to building a high returning trading strategy is to learn about ALL the elements of a successful trading blueprint, how it works and how to apply it to your current trading portfolio. We are about to show you the exact blueprint you need to design a portfolio of trading algorithms to massively boost your profits, so you can fully enjoy the income and freedom you desire, without burning out, losing joy, or feeling stressed ever again. Read on till the end to discover the exact blueprint that will shift how you design and run your trading portfolio, which in turn will shift your income, knowledge and freedom to the next level. But before we tell you about the blueprint, there is someone you should meet. Hackner Intel was founded by proprietary traders, hedge fund research analysts and stock brokers. 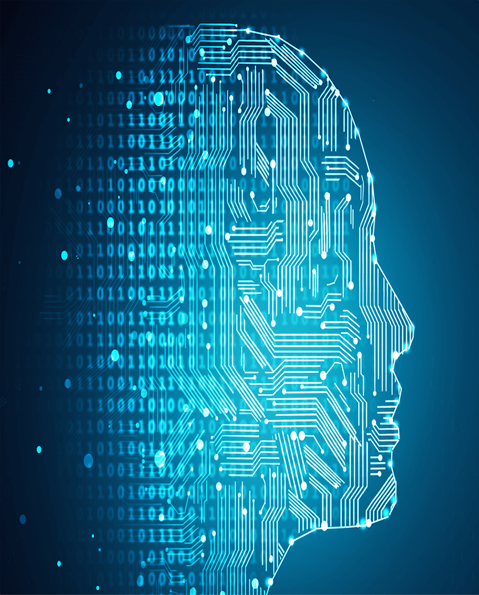 Hackner Intel has been designing and building algorithmic trading portfolios for their clients to establish themselves as a leader in algorithmic trading education. 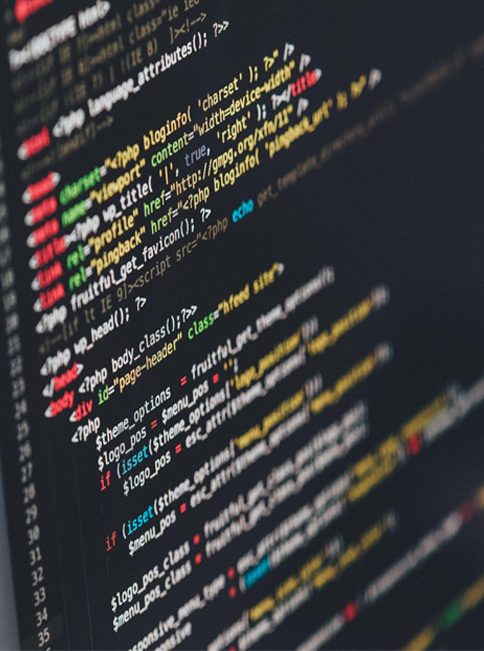 Hackner Intel teaches programming for financial applications to fund managers, accounting firms, stock market research houses and high net worth sophisticated investors. Hackner Intel believes in the potential of programming in enhancing the performance of traders, making their tasks simpler and more efficient. Enjoy a daily newspaper with articles and tweets hand picked by your instructor. Be the first to hear about new tools and market trends. One spot for all of your personal notes and a library of your favorite links. Network with other like-minded professionals. Learn how to program your own ideas and logic into algorithms and finally be able to understand and write code. You’ll be so good at computer programming you can even go and do some freelance programming jobs and earn back the cost of this program! Markets are always changing. In order to be profitable long term you need to be able to identify which stage the market is in, and then deploy a portfolio of strategies to profit from the market inflection points. Think about all the mistakes you have made in trading due to your emotions. With trading automation we eliminate human error and attachment to bad performing trading strategies. The world is moving towards automation and artificial intelligence. Traditional investing and trading doesn't cut it anymore, in order to gain a competitive advantage you must adapt. Learning how to gain huge profits from algorithmic trading will be a huge boost to your career. The whole point of trading automation is that the computer will trade the markets while you’re away. So while you’re at work, at the gym and sleeping, you’re trading the market and making money. Almost like a second job. No more, will you spend your time slaving away in front of a computer screen watching the charts and letting your emotions control you executing your trades. Free yourself from the stress and wasted time that comes with manual trading. To ensure your success is consistent, you’ll have direct access to an expert to assist you with any questions you may have. While the market is being volatile, you're profiting from it. While the market is going down, you're diversified to profit from it. While the market is stagnant and traditional investments aren't performing, you're already trading the next big thing. What you will get in this self paced home study video course, “The Algorithmic Trading Blueprint”. - Whats possible with algorithmic trading. - Algorithmic trading as an art. - Benefits of algorithmic trading. 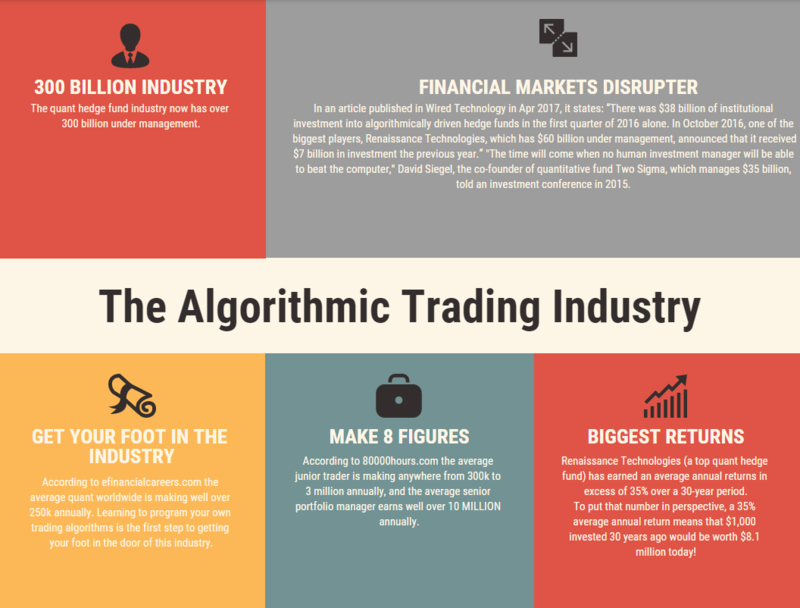 - The effect algorithmic trading has on the market. Your Trading Portfolio Will Now Include The Power Of Advanced Diversification And Accuracy. You Can Become The Center Of A Professional & Advanced Trading Network. - Walk you through our first trading algorithm, step by step. - Strategy development stage 1: system description. - Strategy development stage 2: Data. - Strategy development stage 3: entry conditions. Implement A Portfolio Of Strategies For Every Stage Of The Market. Even if you were a below average algorithmic trader and were to halve the average earnings, you’d still be pulling in a 6-figure annual income. 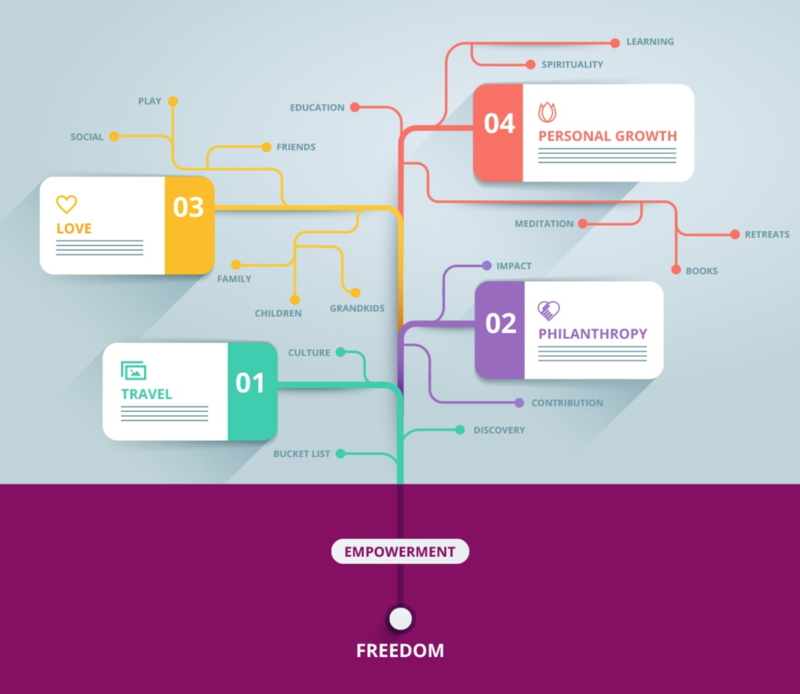 Let's not forget that by learning this in demand skill you will be able to travel around doing freelance work for business's and individuals, which will easily cover the cost of this course and earn you some extra money every month. So, how much would you be willing to invest to design your own algorithmic trading portfolio? 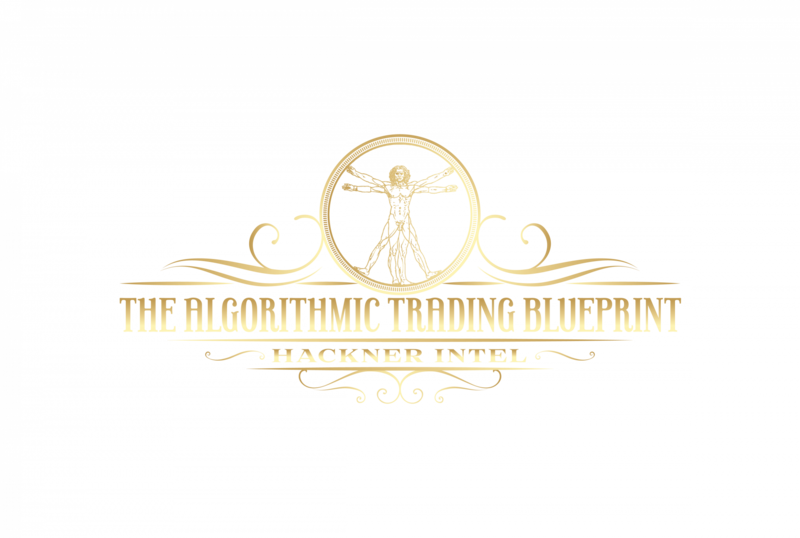 We want to make 'The Algorithmic Trading Blueprint' accessible for every trader, especially for new traders who are just starting out. We want to do this because we believe in the hard work that you will do, and we want to help you succeed, increase your impact, and contribute towards a better world. That’s why it’s not going to cost you thousands of dollars or anywhere near that to access our program. We could easily charge $1,000 or $500, but we want to make it even more affordable than that. Which is why we have made 'The Algorithmic Trading Blueprint' available at a standard price of just $97. Just creating one profitable trading algorithm from our step by step blueprint will pay for this three, four, five times over or even more. We will guide you through the process step by step. Overcoming your doubts, fears and insecurities of creating a losing strategy that holds you back from creating deeper impact and reaching the next level of success. Gain the confidence to take your strategies live and to do freelance work for your clients. The time to take action is now. Look forward to seeing you inside! How is 'The Algorithmic Trading Blueprint' different to other trading programs? All questions will be covered in the video lessons step-by-step as you progress. You’ll also have all your trading foundations secured, so all of your structures and systems will be in place, from sending trade data to brokers, through to technical indicator code, statistical arbitrage, assignments and everything in between! Trading is all about YOUR unique talents and strengths and that’s exactly what we recognise. That’s why this course is designed to help you become the master architect of designing and running a trading portfolio that is 100% your unique ideas. You won’t find dry textbook stuff or fake case studies. This self-paced home study video course takes you through everything that we know about creating a profitable trading algorithm while balancing life in the real world (in other words, while still having a life you enjoy!). Hackner Intel openly tells you all the mistakes we made and all the course corrections we took to help you create a flawless and seamless experience for yourself, so that you really can increase your income in a way that feels congruent and authentic to you, and enjoy the financial freedom and lifestyle you’ve always worked hard for. We want you to have complete confidence and peace of mind in doing business with our company. Seriously, If You've Read This Far, You Know That You Have A Strong Interest In Learning Algorithmic Trading And Achieving The Results You Really Deserve. All That's Left Is To Take The Action To Do It. Complete your Order and you’ll get an Email with your Login and Password. Visit algorithmictradingblueprint.com and login to Access Your Program. Having mastery of the algorithmic trading blueprint doesn’t just give you the freedom to design your own rewarding trading portfolio. It ultimately gives you the freedom to design your dream life. How many years have you struggled with your income – just surviving instead of thriving as a trader who can truly give the best of yourself? You can choose to stay stuck struggling to figure things out on your own for years on end. Or you can choose to accelerate past the struggle by learning the blueprint that goes into designing a profitable trading portfolio without compromising your freedom or impact. Don’t you think it’s time to make full use of your unique gifts and ideas? Don’t you think it’s time you deserve to enjoy the income and freedom you desire? Then it’s time you learn how to master the blueprint of an automated trading portfolio. 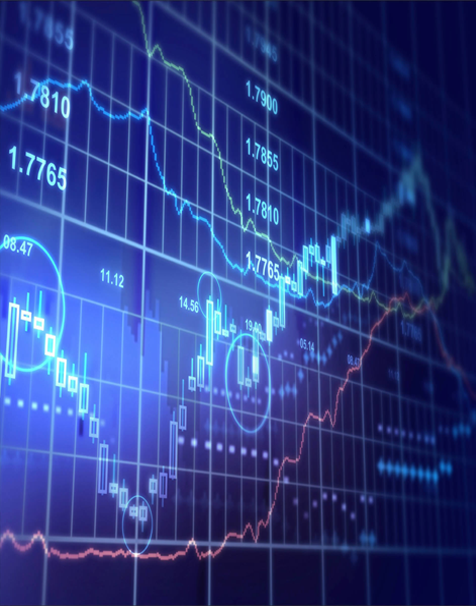 Get Instant Access To Our Algorithmic Trading Systems That Are Proven To Work.